It’s the time for some fancy road trips across the continent for Aussies right now. It could be from Byron Bay to Gold coast or the West Coast Drive. Either way, one essential requirement for a road trip, is a vehicle. It could be a hatchback, a bike, a car, an SUV, a van or even a truck. It totally depends on the expanse of the trip you are planning and on how many families you’re planning it with. One of the most important prerequisites for a road trip is having your vehicle in place, and in good condition. Car owners need to know the importance of car maintenance. A car is an investment and there must be a source of return on that investment. 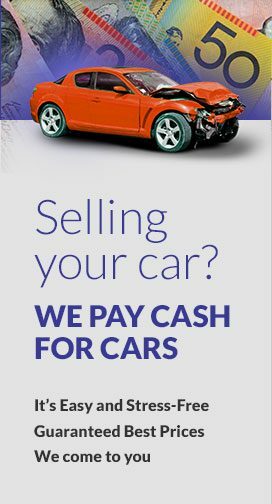 If your car’s interiors are in good condition or have been maintained time and again, you can easily sell your car for instant cash. If you haven’t been taking proper care of your car, you might want to do so now, before you get anxious about a breakdown in the middle of nowhere. The job of a coolant is to basically sustain the life of the engine and the vehicle in temperatures that are not suitable for the functioning of the car. Also, commonly called the “antifreeze”, it essentially prevents the engine from freezing. You need to make sure that the car has a fresh coolant if it hasn’t been changed recently. It’s like a tissue for the junk in your car’s engine oil. It collects all the particles that are of potential harm to the engine via clogging. If these particles stay in your engine for long, it can wear the engine surface and lead to fuel inefficiency and problems with the engine in the near or distant future making it a scrap car. This will prevent bugs from getting into your headlight and hence clogging. During a road trip, your car might have to encounter unknown locations. This means that you need your headlight to be as sharp and ‘full of light’ as possible. Getting a cover for your car’s headlight is an effective way of dealing with the same. This one’s a no-brainier. You need to get a look at the gas in your tank and estimate the distance it will go. If it doesn’t mentally reach another gas station, you need to get a refill. Since a road trip is highly unforeseeable in terms of locations, because of lack of route knowledge, always consider getting a full tank before leaving known premises. A car belt is not exactly something that keeps your bonnet from falling off. It is what keeps your automotive components running. So, you can think of these car belts as enablers of smooth vehicular functioning. Make sure you have an extra set of belts, there’s no harm in having a set. In the case of one of your belts snapping, the engine will have a breakdown, and your road trip will come to a halt, along with your car. Staying safe on the road is extremely essential for a happy, stress-free journey. Keep those seat belts on and enjoy your road trip!